This place has to be clean, comfortable and well maintained - NO COMPROMISE whatsoever! Our 4 year anniversary will be November 15th (big party to be announced! :-) and it's time to clean the yoga room "bones to skin, fingertips to the toes!" The studio gets cleaned twice a day at 3pm and at 9:30 pm every day. I have yet to hear of another BIkram Yoga studio that has a cleaning crew come through the studio twice daily. That being said, the yoga room is the heart of this community and I personally can't sleep at night, unless I know you guys are practicing in the cleanest, most exceptional environment possible. We will be closing September 18 - 20 (Tu - Thur), in order to clean & repair the yoga room. 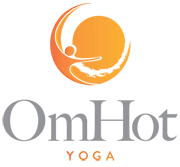 We are so fortunate to have a strong relationship with Bikram Yoga Andersonville and they are allowing us to practice for free for those 3 days. I want to thank Jessica Rask and the BYA community for helping us out and I also want to remind you all to "move with the words" and participate within the traditions of BYA. Thanks for your patience and understanding and we will re-open bright and early Friday for the 6:30am class. On behalf of the staff and myself - we adore you guys and LOVE having an EXCEPTIONAL facility for you to practice in. You deserve the best! !